It is essential to periodically check the proper operation of each gas detection equipment sensor type (catalytic, infrared, electrochemical, semiconductor or photo-ionization) with regular calibration and bump test. Gas detector calibration and proper maintenance is extremely important to ensure safety. A gas monitor calibration consists of setting air zero grade and sensitivity (span). It is required to perform it regularly for both portable gas detectors and fixed gas detection systems. The « air zero grade setting » of a sensor sets ambient air as reference value. It is therefore essential that this « reference air » is pure in order to avoid false measurements. In case of any doubt, it is recommended to use an « air zero grade » cylinder (synthetic air) rather than ambient air. This is all the more important for CO2 detectors (carbon dioxide) as it is naturally present in ambient air (about 400 ppm) and will distort CO2 measured values. For this gas, the « zero » shall be set with an « air zero grade » cylinder. The sensitivity setting (gas detector calibration) shall ideally be done with a calibration gas cylinder of the targeted gas. The concentration has to be set between 20 and 80% of the measuring range while making sure of being able to activate every gas detectors alarm thresholds. In some cases there is no calibration gas cylinders (some gases are not available for sale). Thus using an interfering gas with precaution is therefore recommended. 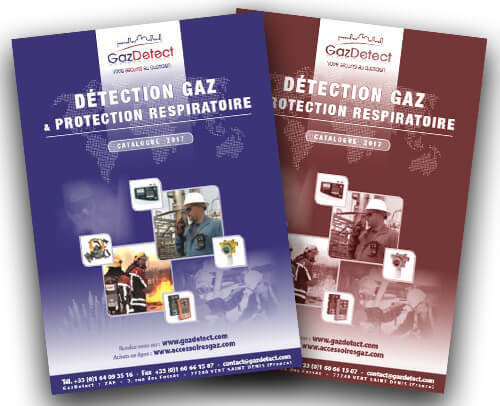 A calibration certificate must be edited after any calibration of a gas detector. This certificate clearly indicates references and features of the device, each sensor measuring range, batch numbers and validity date of used cylinders. This calibration certificate must also contain the calibration date and its validity period (next calibration date). Performing a bump test is highly recommended in order to control the proper operation of any device between two calibrations or before entering confined spaces. This gas detector check is made by injecting a known concentration of gas to confirm the proper operation of the sensor (response time to the gas) and the alarms activation on the device. For maintenance, periodical checkings and calibration of gas detectors we offer a wide range of classic or customizable gaseous mixtures in lightweight disposable single use cylinders. Our available offer gathers a full range of gases from classic LEL binary mixtures up to complex and multiple mixtures used in laboratories with very low level concentrations. Gaseous mixtures are gravimetrically mixed under the requirements of the ISO6142 standard. They ensure accuracy, optimal stability and maximal shelf life.